So how often to you see someone post about their successful shopping experience and think "great for them" but know you would never, post the same type of thing? I thought that way and here I am posting pictures of my latest trip to the shopping trip. I thought it was cool that I bought all my groceries for $6.74 and my lunch at Arbys cost me $7.50. Go figure!! Read below for "how I did this". Groceries for Albertsons include: Captain Crunch, Cinnamon Toast Crunch, 2 gallons of milk, brownie mix, loaf of bread, dozen eggs, ziplock sandwich bags and gallon ziplock bags. I survived another Card Swap! I love making cards...and sometimes I actually mail them out to people. So about every other month I host a card swap with some very talented friends of mine. I'll take some pictures and post them here next week. Anyway, for some reason I ended up having more people join this last swap then I had spots...so I created a second group and decided I'd make a card for each group (yes, it's so I get twice as many cards back too). But then a friend couldn't do her card at the last minute and I hate giving people back an extra of their cards, so I decided to make a 3rd set of cards. Good thing too, I get so much better at the design by the third group (wink). Here's my desk the other night...not too bad. But I loved how this card turned out that I decided to give you the "sentiment" sheet and the image I used to create the bracket shape (see below). One of my very creative friends/neighbors Janet showed me this darling idea about a week ago and I was obsessed with wanting to duplicate it. 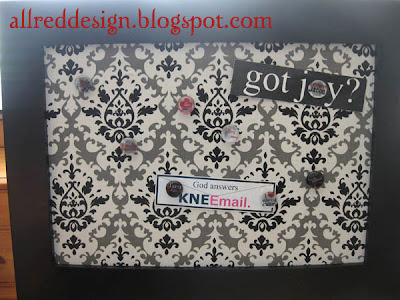 They are magnet boards made from 12x12 picture frames (with glass), cute 12x12 scrapbook paper and glass bead magnets. This first example is the one Janet created (cute picture is her baby Davis). The projects that were inspired from this one are listed below. I hope you like them as much as I do. DIRECTIONS: These are super easy.... you start with a 12x12 frame, 12x12 sheet of metal**, 12x12 sheet of paper. Open up back of frame, place down paper on glass, sheet metal on top of paper and place back of frame back. You're done! 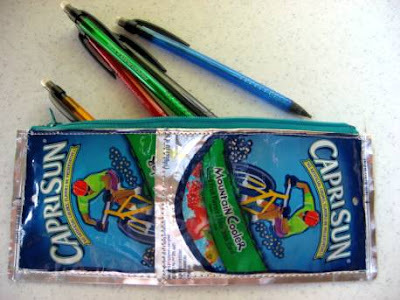 Oooooo....I was so excited to see the instructions for making something out of Capri Sun drink containers. Learn how to make your own pencil bag (like me) on Skip to My Lou's site. This was my crafty project for the week. If you want more details about how to make one and the download sheet for the "Twilight" inspired magnets, go to my Lil Red Cottage Blog. I had to share this beautiful idea I found on Cosmo Cricket's blog....it was created by Natasja Verbeek. 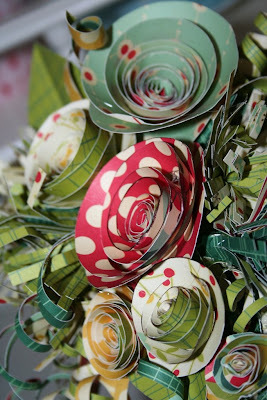 This wedding bouquet is made from their papers and it's amazing. The best part is the video tutorial too! What a great idea and love the tutorial and instructions...wow!! 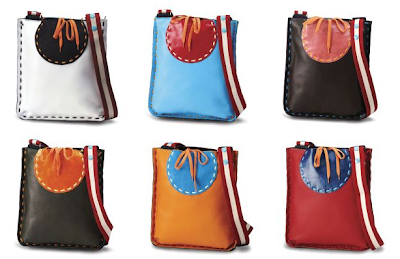 Do you think these cute bags are too much for a "lunch bag"? Wouldn't I look cooler then all the other kids with one of these. They're from a cute site called Daily Window. I've been so excited to share this website with all of you and I probably will continue to whenever she posts new and incredible ideas on her blog. My cute neighbor Cassandra created the most beautiful refurbished furniture pieces and sells them at a shop here in Syracuse. Anyway, these pieces I'm showing you here use to be bed frames!! She also makes all the beautiful pillows on her pieces too! Check out her blog! Check out the darling ladder trellis above her piano too!! 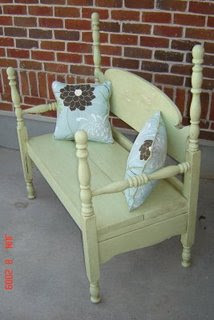 This is my all time favorite bench that she's made...would look perfect in my house!! I was browsing around looking at all the new goodies released for CHA Summer and this one made my heart skip a beat!! 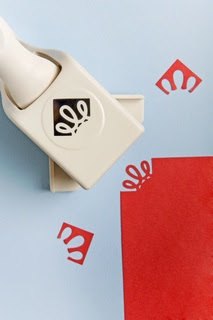 Their new punches from Martha Stewart (read the description below the pictures). The one shown here is a must have for me, so when you find it, let me know where! SNAP, FLASH...more FUN ideas for your PHOTOS! 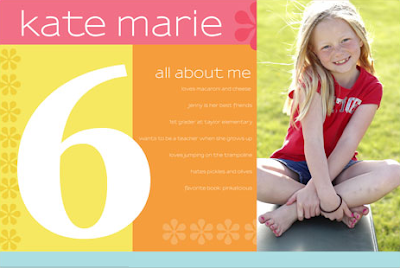 8I started looking at come fun ideas for custom printed Birthday cards for a friend of mine, but once I started browsing around the new BHG's Life in Photos website I was hooked. I've already started about three projects I hope to get ordered this month while they are offering Free Shipping!